⚙ D20645 Avoid doing binary search. Authored by ruiu on May 25 2016, 2:11 PM. rLLD270999: Avoid doing binary search. rL270999: Avoid doing binary search. rG406b469de445: Avoid doing binary search. merging is enabled and input files have lots of mergeable sections. so it is pretty common. merging, so they are not contigous. We've got to do some lookups. We used to do binary search on the list of section pieces. It is slow because I think it's hostile to branch prediction. with debug info. In this case this patch speeds up about 5%. ruiu retitled this revision from to Avoid doing binary search..
ruiu added reviewers: • rafael, silvas. ruiu added a subscriber: llvm-commits. Redo benchmark with "taskset -c 0" to pin down the core to get more accurate reuslts. IMO this is not worth doing. It's only 5% when this function and surrounding code is like 25%, so this doesn't really speed things up much at all. Also, just bailing out on keeping this performance benefit in multithreaded mode seems like a poor engineering decision. Have you analyzed the pattern of this Offset value? I suspect there is some sort of pattern that is easier to cache than using a whole map (e.g. the values might be sequential). Did you actually measure this? The actual tradeoffs for binary search vs a hash table are fairly complex and mostly about reducing serial dependencies through memory. I was surprised you said 5% overall improvement isn't worth it. The number seems really significant to me. 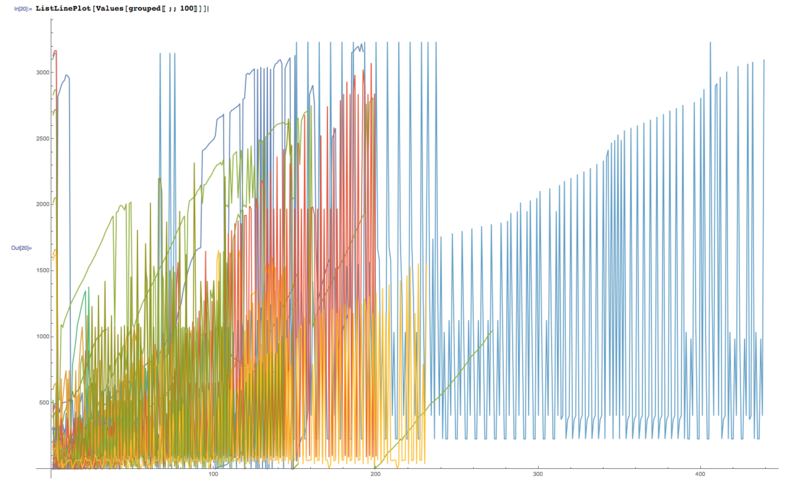 It is not a microbenchmark but is a real result of linking clang. Just +41 lines improves the overall link time by 5%? To me, it is between "excellent" and "it's too good to be true so I'll apply this and verify it myself." You can see the drop of number of branch mispredictions in the perf numbers. It is. It is basically a microbenchmark of an ad-hoc std::upper_bound-based associative container. This patch adds a hash table in front and makes this be only 20% of the total link time instead of 25% on one data set that you looked at. It's a band-aid and adds complexity which makes it more difficult to actually optimize the linker long-term. Also, it punts on threads, so it doesn't stack with any gains we get there (hence not a long-term solution). Have you tried just completely eliminating this code? E.g. creating separate "input sections" for each of the elements in the mergeable input section? Think about it like this: this code is currently 25% of the link time. Are there other solutions that are less than 25% of the link time? I think it is reasonable to expect to find a solution that only costs us 5%. but is a real result of linking clang. Just +41 lines improves the overall link time by 5%? To me, it is between "excellent" and "it's too good to be true so I'll apply this and verify it myself." This kind of thinking will get you stuck in a local optimum. Think of the future and how much faster LLD will be than the current LLD. Is this patch part of that future? How much faster do you want LLD to be? How much faster can it be? Note: on windows by default (and also trivially on tmpfs; relevant to google's internal build system) LLD does not have to wait on writing to a disk. LLD has a long way to go until it is even heavily bottlenecked by disk IO; let alone being limited by DRAM bandwidth (e.g. 50GB/s on a typical low-end machine). This was on a mac. I think the extra memory cost of the OffsetMap might be hurting (and it may be worse on Windows since the virtual memory system there is even poorer usually). OffsetMap adds 2 * sizeof(uintX_t) * #pieces * (1/hashTableLoad) total memory, which for ELF64 is over 16 bytes per piece; for some string tables this densemap may be on the order of the size of the entire section. On the profile, I see MergeInputSection::getOffset go from 20.5% to 10.4% with this patch (good), but I now see a new entry for MergeInputSection::finalizePieces at 10.3% of total link time, counteracting that. MergeInputSection::finalizePieces is composed of 4.3% (of total link time) in DenseMap's InsertIntoBucketImpl and 3.4% is DenseMap::grow (the rest is 2.6% self-time of finalizePieces). Just the CachedLastPieceIndex + 1 case gets about 5% speedup on the test case I was looking at. Adding the CachedLastPieceIndex case brings it up to about 8%. When so much time is spent on so few lines of code, even relatively trivial changes can cause large performance swings. Performance improvements on one test case/platform/compiler (I mean the compiler used to build LLD itself) may be neutral (or even pessimizations) on other test cases/platforms/compilers. For this testcase, about 200k of the 11.5M calls to getOffset are for fixed-size (non-SHF_STRINGS) sections where we can directly index instead of do binary search. If we wanted we could do a special case check and speed up those cases we could do that (but I don't think that would have a huge effect on the overall performance for this kind of test case so I didn't bother trying). Also, one thing to note is that if we already have a sorted list of relocations referencing the merge section, then resolving their offset to their piece index can be done almost for free in InputSection.cpp:splitStrings since we are linearly scanning it anyway. InputSection.cpp:splitStrings is actually 11% of the profile so avoiding it, optimizing it, or at least doing other useful work (e.g. hashing all the strings or resolving offsets to pieces) while we do that is probably worth it. About 4.4% of total runtime seems to be in std::vector's __emplace_back_slow_path as called by InputSection.cpp:splitStrings suggesting that we may want to look into tuning our memory allocation. We seem to spend about 15% of the link as self-time in InputSectionBase<ELFT>::relocateNonAlloc which can probably be dramatically reduced by manually pipelining the loop (or adding some prefetches to mitigate the serial dependencies through memory there). Also hoisting out some hot cases from the various switches and appropriate __builtin_expect will likely help a bit too. There is about 5% self time in SymbolBody::getVA (it is about 25% of the total time, but 20% of this is MergeInputSection::getOffset) which may be the serial dependence through memory in the expression SC->OutSec->getVA(); there also might be some dispatching overhead through some switches and could probably benefit from __builtin_expect or similar (I haven't looked in detail). We spend about 12% in memcpy/memmove when writing to the output, likely bottlenecked on the kernel virtual memory subsystem (besides servicing the page fault, the kernel has to zerofill every page we touch there; also the kernel has locking contention while servicing the page fault, explaining the poor scalability with threading). This is 332ms time which for a 300MB output works out to 0.9GB/s, at least an order of magnitude below DRAM bandwidth (which memcpy/memmove should easily max out), so by tuning that (e.g. ensuring we are using 2MB pages when available, spawning threads early on to start faulting it all in, maybe use pwrite instead of mmap, etc.) that cost can be reduced to almost nothing. Note that in an -O0 link the output is 421MB and 418ms in memcpy/memmove, which is about 1GB/s (i.e. not maxing out DRAM); but in the -O0 link about 30% of time is spent in memcpy/memmove for this testcase which means that the speedup for -O0 to be expected from tuning this is dramatic. Mac's VM subsystem is pretty bad though; I expect Linux to do better here (e.g. automatically use 2MB pages, etc.). Worth measuring. At -O0, we manage to recover most of this of course (we are about 40% faster on this test case based on a quick measurement). One other interesting thing I measured (by just adding a printf): about 35% of the calls to MergeInputSection::getOffset are duplicated. I.e. 35% of all calls to getOffset on a particular MergeInputSection are for offsets that have already had getOffset called on them. (this is easy to test by printing a line for each call to MergeInputSection::getOffset with the pair ((uintptr_t)this,Offset) and then sort|uniq them to see how many are actually distinct). Drilling down I found that the differences between successive piece indexes was 1 (i.e. sequential) in 50% of cases, and 0 in 7% of cases http://reviews.llvm.org/F1986337. Besides those, there is a very long tail and adding more cases (besides CachedLastPieceIndex + 1 and CachedLastPieceIndex) didn't speed things up in my empirical testing. Also, using CachedLastPieceIndex as an initial "seed" to partition the binary search in the case of "cache miss" didn't help much in my measurements (in fact, it actually hurt; likely because it harmed locality (i.e. highly different sequences of elements were searched each time instead of always starting at the beginning and end of the pieces array, testing the same middle every time, etc.)). 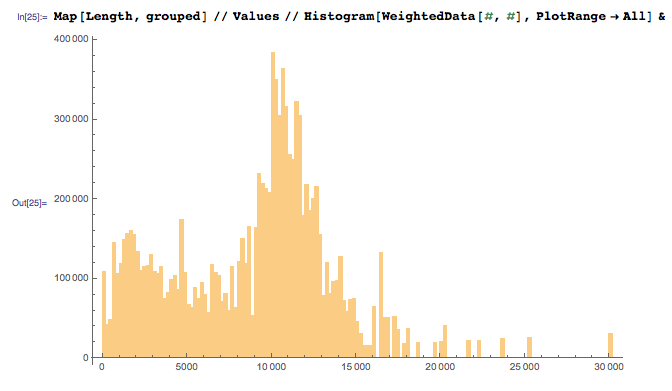 The area under the histogram is the total number of calls to MergeInputSection::getOffset. 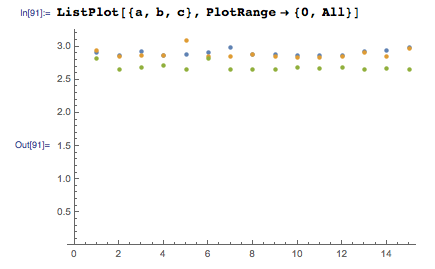 The horizontal axis is the number of calls to MergeInputSection::getOffset for a given MergeInputSection (e.g. 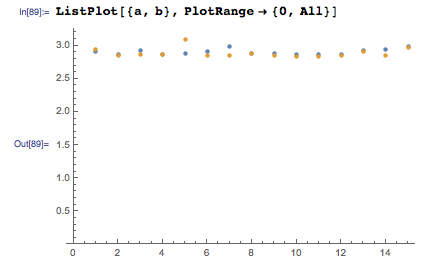 there is an outlier where we called MergeInputSection::getOffset 30,000 times on the MergeInputSection). 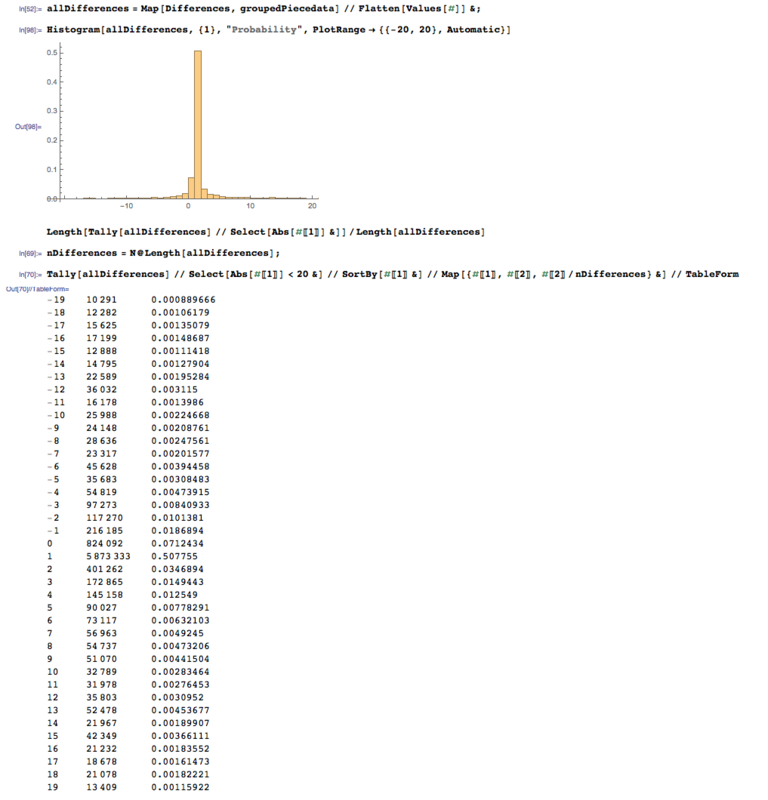 The vertical axis is the total number of calls to MergeInputSection::getOffset within each bucket of the histogram. The thing that surprised me is that sections with a smaller number of calls to getOffset made into them become increasingly abundant so that the graph is relatively flat (varying only 2-3x) up to about 15,000 on the horizontal axis. This looks good to me. If anyone can make it even faster awesome, send a patch. For now we keep the fastest that has been implemented. Not directly related to this patch, and I'm not suggesting we should do it, but here's one radical idea that could make the mergeable section handling a lot faster: instead of storing mergeable strings into sections, make them symbols and handle symbol names as symbol contents. For example, for a mergeable string "foobar", a compiler create a symbol ".merge.foobar". When a linker see a symbol that starts with ".merge." prefix (or with a special symbol type), it creates section contents just like as it reserves space in .bss for common symbols by copying the symbol name to the section, and set the symbol's address to the address in the section. The symbol table is the single central repository to identify and uniquify pieces of data and mergeable strings can piggyback on it. I think this way is a lot faster than the current scheme to merge strings using mergeable sections. Yes, this is exactly what I mentioned above about creating separate "input sections" for each mergeable object. I was thinking about doing it at the section level because that seems more natural for ELF (the compiler already does this to some extent in -ffunction-sections -fdata-sections), but I guess it might make sense to do it at symbol level as a sort of "atom model". Looks like this patch (labeled "rui") gives some speedup. I'm still a bit worried about the extra memory usage (on principle of not being a memory hog), but since this doesn't seem to pessimize anything then this seems fine. A couple nits inline, but this LGTM. These branches may be less predictable than typical branches, but I think it is premature (based on what I've seen presented as analysis) to specifically say that the slowdown is due to branch misprediction. For example, the fact that changing the sizeof in r270717 made a significant performance difference suggests that there is a strong influence of memory access too and that branch misprediction isn't the only factor. (see e.g. the things I linked earlier; the performance of binary search is actually quite complex and, broadly speaking, the performance difference between binary search and hash tables is due to memory, not branch prediction). So I would prefer to remove this comment. I'd really like to avoid this if (!Config->Threads) thing. For example, this is a confounding factor if somebody wants to analyze LLD's scalability with threads, so I'd rather we not have it unless it makes a huge difference (which IIRC you said it didn't).